Josef Mysliveček (in various sources also referred to as Bisliweck, Melsiwesech, Misliwetschek, Metzlevisic, Mislivicheck, Misliwecek, Misliweczek, Misliwetzek, Venatorini), also known as ‘Il Boemo,’ (i.e., the Czech) was one of the most talented composers of the second half of the eighteenth century. In his day he was one of the most successful and universally acclaimed composers. In addition to his transient popularity, his scores feature numerous passages bearing the hallmark of genius. He was born on 9 March 1737 in Sovovy Mlýny No. 503, Kampa, Prague. His father, Matěj Mysliveček, was a miller and a member of the Union of Provincial Sworn Millers. Josef spent his childhood in the vicinity of the mills of Kampa and the Staroměstská Lávka near Charles Bridge. After completing his trivia with the Dominicans at St. Giles, some uncompleted studies at the Jesuit gymnasium where he did poorly in logic (‘nihil profecit in logica’), and private studies in hydraulics with Professor Jan Ferdinand Schor, he entered an apprenticeship with Václav Klika, a miller in Prague’s Old Town. Together with his brother he was admitted to the guild in 1758, and later they were both pronounced masters. Already in 1749, however, Mysliveček was widely recognized as a ‘skilled violinist.’ In 1760 he began studies in counterpoint with František Habermann, but as his contemporary F. M. Pelcl notes, ‘he [Habermann] apparently proceeded too slowly for him,’ so that after a year he found a new teacher in Josef Seeger. After only six months of study with Seeger, he was composing symphonies, and six of them were anonymously performed probably in the Wallenstein Palace with programme titles of the first six months of the year: Januarius, Februarius, Martius, Aprilis, Maius and Junius. It was here that he found a patron, a lover of music, Count Vincent Wallenstein (Waldstein). Under the influence of Prague’s opera and oratorio scene, however, he felt especially attracted to musical drama. The dedication and subsequent performance of the cantata Il Parnasso confuso as well as of a number of independent sacred arias are proof of Mysliveček’s ongoing relations with the Cistercians in Osek and the Benedictines in Břevnov in Prague, who also provided him with a loan of 3,000 florins to go on a study trip to Italy. After the success of these early works in 1763, he left for Italy, where he wanted to improve his opera skills with the Venetian maestro G. B. Pescetti. Italy became a second home for him. In Venice he stayed with Pescetti at most for 17 months. Mysliveček’s subsequent stay in Parma in 1764 is not documented, nor is his first opera which he (according to the historian Pelcl) wrote in that city. It is not entirely clear which opera was accompanied by the ‘most favourable reports’ so that it caught the attention of Amadori, the impresario of Naples: was it the reprise of the cantata Il Parnasso confuso (1665-1667) or the opera Semiramide riconosciuta in Bergamo in 1765, or perhaps in Alessandria in 1766? He entered the peak decade of his career (1767–1777) with the premiere of his opera Bellerofonte in the Teatro San Carlo (20 January 1767) with the renowned soloists Anton Raaf and Caterina Gabrielli. The Florentine newspaper Notizie del mondo often referred to Mysliveček’s premieres as exceptional in the response they received (‘grandissimo incontro’); they were mostly performed together with unrelated ballets by composers, dancers, and choreographers Carlo le Picq and Onorat Viganó. But despite his repeated success in Naples, Turin, Prague, Padua, Venice, Bologna, Florence, Milan, and Pavia, he was constantly tormented by lack of money, loans, and difficulties with creditors. We have at our disposal today about thirty documents on the relations between Josef Mysliveček and Wolfgang Amadeus Mozart; from these we learn about their first encounter, their mutual respect as artists, and the sincere friendship, which despite various twists and turns lasted until Mysliveček’s death. An important but not always positive role in their contacts was played by Wolfgang’s father Leopold, who was a severe judge of Mysliveček’s behaviour. In good faith that he was protecting his son from bad examples and promoting his interests, he never forgot pragmatic aspects and tried to regulate his son’s relationship to the Czech composer through his advice. This was however many times in sharp contrast with the purely positive feelings his son had for his older colleague. Their next meeting took place in Milan, where Mysliveček arrived in November 1771 because of a commission for his opera Il gran Tamerlano (opening on 26 December 1771). Although he had only slightly more than a month to compose and prepare the opera, he did not hesitate to visit both Mozarts the second day after his arrival. Almost a year later Wolfgang wrote from Milan again: ‘Mr Mysliveček is still here,’ but this time he did not mention him explicitly among their ‘good friends.’ The three letters by the two Mozarts from January 1773 also include Mysliveček’s greetings and the famous compliment to Wolfgang’s sister, ‘Maestro Mysliveček kisses Nannerl’s virtuosic hands.’ Wolfgang’s inscription on the letter from Vienna, written and sent home on 9 September 1773, jokingly alludes to Mysliveček by using the general-bass score of his Concerto per violino obligato e stromenti for under padding. Then there is a four-year gap in the documentation of the relations between Mysliveček and the Mozarts, followed by a sharp turn. Wolfgang Amadeus arrived in Munich on 24 September 1777 together with his mother during another of their European tours; at that time Mysliveček was there too, as a patient in the ducal hospital. All the while he was composing and overlooking the preparations for a performance of the second version of his oratorio Abramo ed Isacco. The presence of the two old friends in the same town led to a stormy exchange of letters between Munich and Salzburg. Mysliveček knew nothing about Wolfgang’s arrival, just as Wolfgang knew nothing about Mysliveček’s sojourn in Munich. Mozart the father, however, must have know from correspondence or from hearsay about Mysliveček’s being there in the hospital, and it was indeed he, who first put into words suspicions of venereal disease. This was why Leopold decided to thwart the meeting at all costs and advised Wolfgang, in case Mysliveček found about his presence in Munich, to explain that his mother was opposed to their meeting; he would have to understand that. Finally Leopold harshly condemned Mysliveček’s despicable lifestyle, which caused him shame before the whole world, and blamed him as responsible for his own suffering. Starting with this sharp statement, Leopold’s relationship to Mysliveček can no longer be called friendly since all their mutual contact from that time on concerns exclusively business and tactical moves. Mysliveček’s carnival opera Il Gran Tamerlano, which premiered on 26 December 1771 in the Teatro Regio Ducal of Milan, is one of the highlights of the first period of his opera writing. This period was characterized by the use of the three-part ‘dal segno’ aria form. 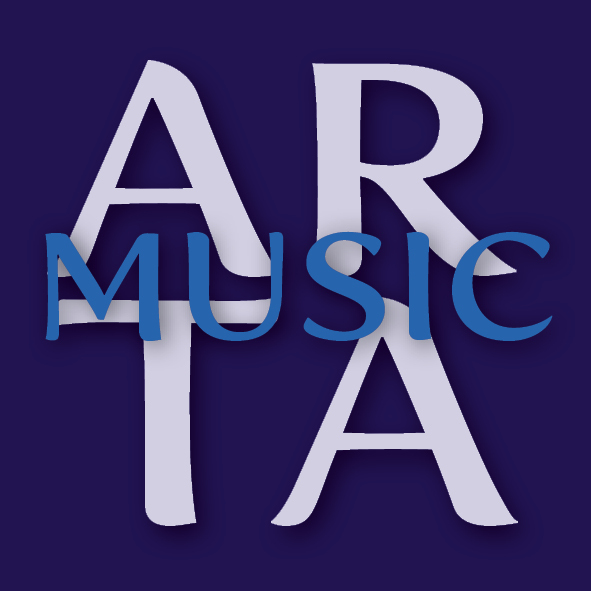 Arias in this from were introduced by an orchestral prelude presenting the main thematic material which was subsequently developed in the vocal line (part A) and then followed by a contrasting section (part B), the contrast being e.g. a change in key (minor vs. major), a change in the tempo (fast vs. slow), a change in the character of the orchestra accompaniment and/or instrumentation (full orchestra vs. strings); then part A returned in abbreviated form. The abbreviation consisted mainly in omitting the introductory orchestral section but sometimes also some of the singing in order to increase the dramatic momentum (as opposed to the original ‘da capo’ arias, in which literally everything was repeated), but at the same time left the interpreters with sufficient room to improvise their own fioritura in the repeated part and with their art thus try to win the favour of the audience. Both arias of sultan’s daughter Asteria were written precisely in this form. The first of them, the aria from the first act ‘Sento nell alma mia’, is an aria in which Asteria expresses her hatred for Tamerlan, who longs for her and desires immensely to win her heart. The storm of emotions in which she finds herself is expressed through virtuoso coloratura and like most of Mysliveček’s arias makes enormous technical demand of the artist. At the same time it offers beautiful melodic material, which in itself is however so diverse and distinctive that it would definitely suffice to build a sonata allegro. The aria from the second act of the opera, ‘Nacqui in seno alla sventura’ is a moving utterance from Asteria’s sorely tried soul. The simple and poignant music is enhanced by soft string accompaniment, supported by just two flutes. Mozart’s opera Lucio Silla also premiered in the Teatro Regio Ducal. It was performed with ‘moderate success’ exactly a year after Mysliveček’s Tamerlan. It is likely that its more lukewarm reception was influenced by the many complications that accompanied its preparation. The singers, according to whose capabilities and desires the composer had to write the arias, were often late for rehearsals; to top it off, the first tenor fell ill, and a replacement for him had to be found at the last moment. Here too the sixteen-year-old Mozart was writing an opera for the composition of which he only had six weeks. The opera Artaserse was first performed in the Teatro San Carlo in Naples on 13 August 1774 on the occasion of the birthday of Queen Maria Carolina of Naples. Mysliveček was awarded this contract based on the success of his opera Romolo ed Ersilia, which had been performed for the Queen’s birthday the year before. The opera Medonte, re di Epiro first opened in the Teatro Argentina (Teatro a Torre Argentina) in Rome on 26 January 1780. All the artists performing were men because women were not allowed as actresses on stage in Rome until the arrival of Pope Pius VII in 1800. For a long time, Mysliveček scholars erroneously held this work to be his last, and its premiere was termed incorrectly a failure. It has become clear, however, that the objections were levelled against the changes made in Metastasio’s libretto and not against Mysliveček’s music since immediately after the premiere he obtained another contract in Rome. A dramatic highlight of this opera is Seléné’s accompanied recitative and aria ‘Dove, ahi dove son io?... Adorata mia speranza,’ which the poor princess of Argo sings in a dungeon, where she has been thrown by Medonte and where he intends to have her walled up alive. Here we can no longer speak of a recitative and an aria: it is a thoroughly through-composed scene, in which the accompanied recitative, replete with invention, passes over into an aria from which the music then emerges out into another dramatically impressive recitative, reflecting with incredible efficiency the extreme situation which Seléné is experiencing and the feelings it evokes. These burn her like the fires of hell; she freezes with terror at her approaching death; in anguish she calls her beloved Arsace, asking him to help her, and at the conclusion of this drastic scene she asks her enemies to put an end to her suffering. The music through which Mysliveček creates this picture goes beyond the norms of his day, exceptional even for his own standards of composition and completely passing beyond the limits of the ‘opera seria’ genre so that it moves out towards Gluck’s reforms and the style achieved later by Mozart in for example his Idomeneo. Just a few days before Mysliveček’s death in 1781, Mozart premiered his opera Idomeneo at the behest of the elector of Munich. The story of a Trojan woman imprisoned in Crete has a happy ending in her marriage to the king’s son Idamante, who is rescued from death by a deus ex machina. Mozart’s ‘dramma per musica’ is strongly influenced by French opera with its dramatic participation of choruses. Josef Mysliveček (in diversen Quellen auch als Bisliweck, Melsiwesech, Misliwetschek, Metzlevisic, Mislivicheck, Misliwecek, Misliweczek, Misliwetzek, Venatorini), „Il Boemo“ (d.h. Tscheche) genannt, war einer der talentiertesten Komponisten der zweiten Hälfte des 18. Jahrhunderts. Seinerzeit war er einer der sehr erfolgreichen und allgemein anerkannten Autoren. Neben der vergänglichen Popularität der damaligen Zeit findet man in seinen Partituren nicht selten Stellen mit dem Zeichen der Genialität. Gemäß dem florentinischen Nekrolog (17. Februar 1781) „war er bei fast allen europäischen Höfen, wo seine Fähigkeiten einen großen Lob ernteten, und schloss Freundschaft mit den größten Persönlichkeiten“. Falls man von dem dauerhaften Interesse an seiner Instrumentalmusik insbesondere in dem deutschsprachigen Raum absieht (ab 1764), erlebte er in Italien eine für einen Ausländer schwindelerregende Karriere eines Opern- und Oratoriumkomponisten („Maestro Compositore“) und gehörte dort in den 70. Jahren auch in der starken Konkurrenz zu den meistgesuchten Autoren für die wichtigsten Opernwerke. Er wurde am 9. März 1737 in den Sova-Mühlen Nr. 503 auf der Kampa in Prag geboren. Sein Vater Matěj Mysliveček war Müller und Mitglied des Chors der beeidigten Landesmüller. Josef verbrachte seine Kindheit in den Mühlen auf der Kampa und auf dem Altstadt-Steg an der Karlsbrücke. Nach seinem Trivium bei den Dominikanermönchen beim Hl. Ägidius, einem nicht abgeschlossenen Studium des Jesuitengymnasiums aufgrund schlechter Studienergebnisse in der Logik („nihil profecit in logica“) und dem Privatstudium der Hydraulik bei Prof. Jan Ferdinand Schor begann er eine Lehre beim Altstadtmüller Václav Klika. Gemeinsam mit seinem Bruder wurden sie im 1758 in die Zunft aufgenommen und anschließend für Meister erklärt. Bereits im 1749 galt jedoch Mysliveček als „gewandter Geiger“, studierte ab 1760 Kontrapunkt bei František Habermann, „dieser ging mit ihm jedoch, wie es schein, zu langsam vor“, wie sein Zeitgenosse F. M. Pelcl erwähnt, daher wechselte er nach einem Jahr zu Josef Seeger. Bereits nach einem halben Studienjahr bei Seeger komponierte er Symphonien und ließ sechs davon wahrscheinlich anonym im Wallenstein Palais mit den Programmnamen der ersten sechs Jahresmonate Januarius, Februarius, Martius, Aprilis, Maius, Junius aufführen. Dadurch gewann er einen Mäzen, den Musikliebhaber Graf Vincenc Valdštejn (Waldstein). Unter dem Einfluss des Prager Opern- und Oratoriumbetriebs fühlte er sich jedoch vor allem von den musikalisch-dramatischen Werken angezogen. Die Dedikation sowie die anschließende Ausführung der Kantate Il Parnasso confuso und vieler geistiger Arien beweisen Myslivečeks dauerhafte Beziehung zu den Zisterziensern in Osek und zu den Benediktinern in Prag - Břevnov, von denen ihm unter anderem ein Darlehen von 3000 Gulden für seine Studienreise nach Italien gewährt wurde. Nach dem Erfolg dieser ersten Werke fährt er also im 1763 nach Italien, hier möchte er sich in der Opernkunst beim venezianischen Meister G. B. Pescetti verbessern – Italien wird dann für Mysliveček zu seiner zweiten Heimat. In Venedig bei Pescetti verbrachte er höchstens 17 Monate. Der anschließende Aufenthalt Myslivečeks in Parma im 1764 ist nicht nachgewiesen, ebenso wenig wie seine erste Oper, die er hier laut dem Historiker Pelcl schreiben sollte. Es ist nicht ganz klar, welche Oper von den „positivsten Berichten“ begleitet wurde, die die Aufmerksamkeit des neapolitanischen Impresarios Amadori weckten, ob es die Reprise der Kantate Il Parnasso confuso (1665-1667) oder die Oper Semiramide riconosciuta in Bergamo im 1765 oder im 1766 in Alessandria war. Mit der Aufführung der Oper Bellerofonte in Teatro San Carlo (20.1.1767) mit den wohlgeborenen Solisten Anton Raaf und Caterina Gabrielli begann das beste Jahrzehnt Kunstwerke (1767 - 1777). Die florentinische Zeitung Notizie del mondo bezeichnete oft Myslivečeks Premieren als durch ihre Resonanz einmalig („grandissimo incontro“), sie wurden meistens in Verbindung mit separaten Ballettstücken der Autoren, Tänzer und Choreografen Carlo le Picq und Onorat Viganó aufgeführt. Trotz seines mehrfachen Erfolgs in Neapel, Torino, Prag, Padua, Venedig, Bologna, Florenz, Mailand und Pavia litt er unter Geldmangel, Darlehen und Schwierigkeiten mit seinen Gläubigern. Die Wende in seiner erfolgreichen Karriere und seinen allmählichen Fall auf den gesellschaftlichen Abgrund brachte das Jahr 1777, als am Anfang des Jahres bei seiner Reise nach München die Kutsche, in der Mysliveček saß, umstürzte. Seine offene Wunde hat sich infiziert, der Komponist musste ein ganzes Jahr im Krankenhaus verbringen und kam im Frühjahr 1778 mit verunstaltetem Gesicht heraus. In einigen Quellen wird angegeben, dass die wirkliche Ursache seiner Verunstaltung die venerische Erkrankung (Syphilis) sein sollte. Er starb vollständig verarmt in seinem Haus in Rom am 4. Februar 1781. Über die Beziehung zwischen Josef Mysliveček und Wolfgang Amadeus Mozart liegen derzeit rund 30 Dokumente vor, die Aussagen über ihr erstes Treffen, ihren gegenseitigen künstlerischen Respekt sowie ihre aufrichtige Freundschaft, die mit diversen Peripetien bis zum Myslivečeks Tod überdauerte, liefern. Eine wichtige, jedoch nicht immer positive Rolle spielte in ihrer Beziehung Wolfgangs Vater Leopold, der sehr streng Myslivečeks Taten überwachte, und im guten Glauben, seinen Sohn vor schlechten Beispielen zu schützen und seine Interessen durchzusetzen, pragmatische Aspekte nie außer Acht ließ und versuchte, mit seinen Ratschlägen Wolfgangs Beziehung zu dem böhmischen Komponisten zu regulieren. Diese standen jedoch oft in scharfem Widerspruch zu den rein positiven Gefühlen, die sein Sohn gegenüber seinem älteren Kollegen hegte. Wolfgang und Leopold Mozart trafen Josef Mysliveček zum ersten Mal zwischen dem 24. und 29. März 1770 in der Pension Del Pellegrino (Beim Pilger) in Bologna. Dort lernte der damals erst 14-jährige Wolfi den bereits berühmten Opernkomponisten, Maestro Mysliveček, kennen. Die Achtung gegenüber dem Komponisten aus Böhmen spürt man auch aus Leopolds Schreiben nach Hause, in dem er ebenfalls erwähnt, man habe sich mit Mysliveček in Bologna häufig besucht: „Er ist ein Ehrenmann und wir haben Freundschaft geschlossen“. Ihr weiteres Treffen fand in Mailand statt, wohin Mysliveček im November 1771 aufgrund des Auftrages für seine Oper Il gran Tamerlano (Premiere am 26. Dezember 1771) reiste. Obwohl ihm für die Komposition und die Vorbereitung der Oper nur rund ein Monat zur Verfügung stand, zögerte er nicht und besuchte beide Mozarts gleich am nächsten Tag. Fast ein Jahr später schreibt Wolfgang erneut aus Mailand: „Herr Mysliveček ist noch hier“, er erwähnt ihn jedoch nicht mehr ausdrücklich unter „unseren guten Freunden“. Drei mailändische Schreiben der Mozarts vom Januar 1773 beinhalten dann auch Myslivečeks Grüße und das bekannte Kompliment an Wolfgangs Schwester: „Herr Mysliveček küsst Nannerls bravuröse Hände“. Wolfgangs Postskript zum Schreiben vom 9. September 1773 von Wien nach Hause erinnert im Scherz an Mysliveček damit, dass er anstatt einer Unterlage den Generabass-Part seines Concerto per violino obligato e stromenti verwenden würde. Danach kommt es in der Dokumentation der Beziehung Mysliveček – Mozart zu einer vierjährigen Pause sowie zu einer grundsätzlichen Wende. Wolfgang Amadeus kam am 24. Oktober 1777 mit seiner Mutter während seiner nächsten Europareise nach München, wo Mysliveček zu dieser Zeit im Herzogspital behandelt wurde. Dabei komponierte er und verfolge die Vorbereitungen für die Ausführung seiner zweiten Version des Oratoriums Abramo ed Isacco. Die Anwesenheit beider langjährigen Freunde führte zu einem stürmischen Briefwechsel zwischen München und Salzburg. Mysliveček ahne nicht, dass Wolfgang kommt, ebenso ahnte Wolfgang nicht, dass sich Mysliveček in München aufhält. Vater Mozart musste jedoch aus dem Schriftwechsel oder vom Hörensagen wissen, dass dort Mysliveček in Behandlung ist, und der Verdacht auf die venerische Erkrankung wurde zum ersten Mal eigens von ihm ausgesprochen. Daher beschloss Leopold, dieses Treffen um jeden Preis zu vereiteln, und riet Wolfgang, sich zu entschuldigen, sollte Mysliveček von seiner Anwesenheit in München erfahren; die Mutter hätte ihm den Besuch verboten – dass müsste Mysliveček doch verstehen. Schließlich sprach Leopold ein scharfes Urteil über sein abscheuliches Leben, seiner Scham vor der gesamten Welt sowie über die eigene Schuld an seinem Leiden aus. Ab dieser schroffen Aussage kann man die Beziehung zwischen Leopold Mozart und Mysliveček nicht mehr als Freundschaft bezeichnen, da sämtliche weiteren Kontakte nur noch als geschäftliche oder taktische Schritte galten. Als nach einem erneuten Besuch bei Mysliveček Mozart mit seiner Mutter abreiste, entwickelte sich zwischen den drei Musikern erneut eine rege Korrespondenz. Leopold Mozart war nachbevor an einer erfolgreichen Vereinbarung des Auftrages für Neapel interessiert. Andererseits wurde er von Mysliveček gebeten, sich um die Ausführung der 12 Symphonien und 6 Quintette mit der obligatorischen Oboe zu kümmern, die er an den Erzbischof nach Salzburg gesendet hatte, er versprach auch, vor dem 15. Oktober 1777 Nannerl seine Cembalo-Sonaten zu schicken, und stellte Wolfang die Anschrift des Impresarios Santor nach Augsburg zu. Während zwischen Leopold und Mysliveček gegenseitig ein durchaus geschäftlicher Schriftverkehr erfolgt, drängt der sensible und empathische Wolfgang seinen Vater: „Ich bitte Sie, an den armen Mysliveček bald zu schreiben, da ich weiß, welche Freude es ihm sicherlich bereiten wird“. Wolfgangs Brief vom 7. August 1778 ist das letzte Schreiben, in dem der Name seines Freundes Josef Mysliveček erwähnt wird. Er schrieb darin, man hätte Mysliveček als Kandidaten für die Stelle des erzbischöflichen Kapellmeisters in Salzburg in Erwägung gezogen. Man sei jedoch laut Mozart so „kurzsichtig“ vorgegangen, das „Mysliveček entweichen“ konnte und Salzburg somit einen „Kapellmeister verlor, den man nicht so leicht finden könne... und der durch seine Anwesenheit die gesamte Hofmusik in Furcht versetzte“. Myslivečeks Karnevaloper Il Gran Tamerlano, die ihre Prämiere am 26. Dezember 1771 im Teatro Regio Ducal in Mailand hatte, gehört zum Höhepunkt der ersten Periode, in der er seine Opernwerke schrieb. Für diese Zeit war die Verwendung der dreiteiligen Arienform „dal segno“ typisch. Arien in dieser Form wurden mit einem Orchestervorspiel eingeführt, dieses Vorspielt exponierte das thematische Hauptmaterial, das sich anschließend in einer Vokallinie entwickelte (sog. Abschnitt A), danach folgte der Kontrastabschnitt (sog. Abschnitt B) – der Kontrast bestand z.B. in der Änderung des Tongeschlechts (Dur x Moll), des Tempos (schnell x langsam), des Charakters der Orchesterbegleitung oder der Instrumentation (komplettes Orchester x lediglich Bogeninstrumente) – danach wiederholte sich der Abschnitt A in verkürzter Form. Die Abkürzung bestand insbesondere in dem Auslassen des einleitenden Orchesterabschnitts, manchmal jedoch auch eines Teils der Gesangs, und zwar zwecks Erhöhung des dramatischen Verlaufs (im Gegenteil zu den ursprünglichen Arien da capo, als wortwörtlich alles wiederholt wurde), jedoch bekamen die Interpreten gleichzeitig einen Raum, um in dem wiederholten Werk eigene Fiorituren zu improvisieren und sich somit mit ihrer Kunst um die Gunst des Publikums bemühen zu können. Beide Arien der Sultanstochter Asteria sind eigens in dieser Form geschrieben. Die erste davon – die Arie in der 1. Handlung „Sento nell alma mia“ – ist eine Arie, in der Asteria ihren Hass gegenüber Tamerlan zeigt, der nach ihr verlangt und ihr Herz unbedingt gewinnen möchte. Der Gefühlssturm, von dem sie geschüttelt wird, ist mit bravurösen Koloraturen ausgedrückt und stellt wie die meisten Arien von Mysliveček gewaltige technische Ansprüche auf den Interpreten. Gleichzeitig bringt sie ein wunderschönes, wohlklingendes, melodisches Material, das jedoch gegenseitig ebenfalls so abstechend und markant ist, dass es sicherlich für den Ausbau eines Sonaten-Allegros ausreichen würde. Die Arie in der 2. Handlung der Oper „Nacqui in seno alla sventura“ ist eine rührende Aussage der schicksaalgeprüften Seele der Asteria. Die einfache und zum Herzen sprechende Musik wird durch die feine Begleitung der Bogeninstrumente potenziert, denen sich lediglich zwei Flöten anschließen. Die Premiere der Oper Il gran Tamerlano war sehr erfolgreich und dieses Werk wurde anschließend eine der populärsten der in Mailand der damaligen Zeit betriebenen Opern. Als ein direkter Nachweis dieser Beliebtheit können die häufigen zeitnahen Abschreibungen von vielen Arien und Duetten betrachtet werden. Die Premiere der Oper Lucio Silla von Mozart fand ebenfalls im Teatro Regio Ducal statt. Sie fand mit "mäßigem Erfolg" genau ein Jahr später als Myslivečeks Tamerlan statt. Es ist wahrscheinlich, dass der Grund für die halbherzigere Aufnahme die zahlreichen Komplikationen bei der Vorbereitung der Vorstellung waren. Die Sänger, nach deren Möglichkeiten und Wünschen der Autor die Arien schreiben musste, kamen zu spät und der erste Tenor wurde sogar krank, sodass musste im letzten Moment einen Ersatz suchen musste. Und somit wurde hier durch den sechzehnjährigen Mozart ein Werk geschaffen, für dessen Komposition er in Wirklichkeit lediglich sechs Wochen Zeit zur Verfügung hatte. Die Arie „Se il crudel periglio“ wird durch die weibliche Hauptdarstellerin Giunie gesungen, geplagt von tödlicher Angst um das Leben ihres Verlobten Cecilio. Sie bittet ihren gemeinsamen Freund Cinna, sich um Cecilio zu kümmern und ihn vor dem despotischen Herrscher Silla zu beschützen, falls ihn dieser erneut umbringen möchte. Diese Arie gehört in die Kategorie „aria di bravura“, also zu den extrem bravurösen Arien, und da die Prima Donna Anna de Amicis-Buonsolazzi, die bei der Premiere der Oper sang, lobte, wie perfekt Mozart ihrer Stimme entsprach, ist anzunehmen, dass sie eine technisch außerordentlich disponierte Sängerin war, da diese Arie bis heute zu den Probiersteinen für jede Koloratur-Sopranistin zählt. Die Arie gehört aufgrund ihrer Länge, des vokalen Umfangs (bis zu d3) und der gesamten Ansprüche auf die Stimmbeweglichkeit und die Koloraturkunst zu den außerordentlichsten Kreationen auch innerhalb Mozarts Werke. Die Oper Artaserse hatte ihre Premiere im neapolitanischen Teatro San Carlo am 13. August 1774, dem Geburtstag der neapolitanischen Königin Marie Karolina. Mysliveček erhielt diesen Auftrag dank des Erfolgs seiner Oper Romulus und Ersilia, die am Geburtstag der Königin ein Jahr zuvor aufgeführt wurde. König Xerxes erlaubt seiner Tochter Mandane nicht, Arbace zu heiraten, und vertreibt ihn. Sein Vater Artabano bringt Xerxes um (angeblich aus Rache, tatsächlich möchte er jedoch, dass sein Sohn den Thron besteigt), er sagt es dem Sohn, dieser flüchtet jedoch aus Verzweiflung mit der Mordwaffe. Artabano sagt Artaxeres, das Xerxes von seinem Bruder Dario ermordet wurde, daher lässt ihn Artaxeres umbringen. Später wird jedoch Arbace gefasst, dieser hat keine Erklärung und wird automatisch zum Verdächtigen. Niemand glaubt ihm, auch seine Geliebte Mandane nicht, sie selbst wünscht seinen Tod sogar am meisten von allen. Diese eskalierende Konfliktlage, die sich zwischen den vier Hauptfiguren Mandane, Artaxeres, Arbace und Artabano abspielt, drückt Mysliveček auf eine brillante Art und Weise mit dem dramatisch gegliederten Vokalquartett „Deh! Respirar lasciatemi...“ aus. In der zweiten Handlung der Oper verurteilt der Präfekt der königlichen Garde Artabano seinen Sohn zum Tode, wofür er von allen gehasst wird, die größte Missgunst erweckt er jedoch bei Mandane, die bis zu diesem Augenblick so laut nach Gerechtigkeit gerufen hatte. An der kritischsten Stelle, als es zu einem offenen Konflikt zwischen Mandane a Artabano kommt, singt Mandane die Groll-Arie (aria di furore) „Va tra le selve ircane“; hier kommt aus tiefsten Herzen der ganze Hass, den sie gegen Artabano hegt. Die Arie ist in G-Moll geschrieben und korrespondiert durch ihre Wildheit perfekt mit dem dramatischen Potential des in Noten gesetzten Textes. Da diese Oper bereits zu der zweiten schöpferischen Periode gehört, als der Komponist nach und nach die Arienart dal segno verließ und die Sonatenart mit Ritornellen entwickelte, ist auch diese Arie auf einem Sonatengrundriss komponiert. Mozarts dramma giocoso La finta giardiniera, die ihre Premiere am 13. Januar 1775 im Salvatortheater in München hatte, kehrt nach den Mailänder Erfolgen der Opera seria zur Opera buffa zurück, oder eher zu einer Übergangsart. Obwohl die Oper La finta giardiniera nicht zu Mozarts Spitzenwerken gezählt wurde, stellt sie in den dramatischen Musikwerken des Autors einen wichtigen Meilenstein dar. Mozart schaffte in dieser Oper zum ersten Mal ein Modell, das von ihm dann in seinen sämtlichen späteren berühmten Opern verwendet wurde – und zwar eine Osmose des komischen Elements mit ernsthaften Motiven und Themen, ein Vermischen der Elemente der komischen Oper mit der Opera seria. Mozart bemüht sich hier um eine individuelle musikalische Charakteristik der Figuren und arbeitet inventionsmäßig mit der Instrumentierung. Insbesondere die Figur der Markise Violante Onesti, die sich als die Gärtnerin Sandrina ausgibt, repräsentiert das sog. "mezzo carattere" und hat hier eine ganze Reihe pathetischer Arien ernsthaften Charakters. „Geme la tortorella“ gehört zu den interessantesten und emotionalsten Arien der Oper. Die perfekt geführte aristokratisch elegante Vokallinie schwebt hoch über der kristallklaren Begleitung des Bogenensembles der Geigen mit Dämpfern, den Pozzicati der Violen, Violoncellos und Kontrabässe. Die Oper Medonte, re di Epiro wurde zum ersten Mal im römischen Teatro Argentina (Teatro und Torre Argentina) am 26. Januar 1780 aufgeführt. Sämtliche Darsteller waren männlich, da es bis zum Amtseintritt des Papstes Pius VII. im 1800 den Frauen nicht gestattet war, im Theater aufzutreten. Dieses Werk hielten Myslivečeks Forscher sehr lange irrtümlich für sein letztes Bühnenwerk und die Premiere wurde zu Unrecht als Misserfolg bezeichnet. Es zeigte sich jedoch, dass die Vorbehalte den Anpassungen Metastasios Librettos und nicht seiner Musik galten. Unmittelbar nach der Premiere erhielt er nämlich einen weiteren Auftrag für Rom. Surnommé « Il Boemo » (le Bohême), Josef Mysliveček fut l’un des compositeurs les plus talentueux de la seconde moitié du XVIIIe siècle. – Précisons que les sources le mentionnent sous diverses variantes : Bisliweck, Melsiwesech, Misliwetschek, Metzlevisic, Mislivicheck, Misliwecek, Misliweczek, Misliwetzek, Venatorini. – En son temps donc, il comptait parmi les compositeurs jouissant de la reconnaissance générale et rencontrant un grand succès. Mais au-delà d’une passagère popularité d’époque, on trouve bien souvent dans ses partitions des endroits portant le cachet du génie. D’après sa nécrologie florentine (17 février 1781), « il fut dans presque toutes les cours d’Europe, où l’on fit grand éloge de ses capacités, et lia amitié avec les plus grandes personnalités ». Si l’on ne tient pas compte de l’intérêt durable pour sa musique instrumentale en particulier dans les pays de langue allemande (à partir de 1764), il connut en Italie une carrière de compositeur d’opéras et d’oratorios vertigineuse pour un étranger (« Maestro Compositore »), et c’est même en forte concurrence qu’il y comptait, dans les années 1770, parmi les auteurs les plus recherchés pour les principales maisons d’opéra. Mysliveček naquit le 9 mars 1737 aux Moulins Sova, n° 503, dans le quartier pragois de Kampa. Son père, Matěj Mysliveček, était meunier et membre du corps des meuniers jurés du pays. Josef passa son enfance aux moulins de Kampa et de la Passerelle de la Vieille Ville, près du pont Charles. Après le « trivium » (enseignement primaire) chez les dominicains de Saint-Gilles, puis des études au lycée jésuite inachevées pour ses mauvais résultats en logique (« nihil profecit in logica ») et des cours privés d’hydraulique auprès du professeur Jan Ferdinand Schor, il entra en apprentissage auprès au meunier de la Vieille Ville, Václav Klika. Avec son frère, ils furent admis dans la corporation en 1758, et enfin proclamés maîtres. Cependant, en 1749 déjà, Mysliveček passait pour un « habile violoniste ». À partir de 1760, il étudia le contrepoint auprès de František Habermann, « mais celui-ci, semble-t-il, avançait trop lentement avec lui », comme le rapporte son contemporain F. M. Pelcl ; c’est pourquoi, un an plus tard, il passa chez Josef Seeger. Après un semestre d’études chez Seeger, il composait déjà des symphonies, et fit exécuter anonymement six d’entre elles, probablement au Palais Wallenstein, avec les titres programmatiques des six premiers mois : Januarius, Februarius, Martius, Aprilis, Maius, Junius. Il gagna ainsi un mécène, le comte, mélomane, Vincenc Valdštejn (Waldstein). Sous l’influence des concerts pragois d’opéras et d’oratorios, c’est toutefois la production lyrico-dramatique qui attirait avant tout Mysliveček. La dédicace puis l’exécution de sa cantate Il Parnasso confuso ainsi que d’une série d’arias sacrées indépendantes attestent de son lien durable avec les cisterciens d’Osek et les bénédictins de Prague-Břevnov, qui, entre autres, lui accordèrent un prêt de 3 000 florins pour un séjour d’études en Italie. Après le succès de ces premières œuvres, Mysliveček partit donc en 1763 en Italie, comptant s’y perfectionner dans l’art de l’opéra auprès du maître vénitien G. B. Pescetti – et l’Italie devint sa seconde patrie. Il resta à Venise auprès de Pescetti 17 mois tout au plus. Son séjour à Parme en 1764 n’est pas attesté, non plus que son premier opéra, écrit dans cette ville selon l’historien Pelcl. On ne sait pas clairement à quel opéra se rapportent « les nouvelles les plus favorables » annonçant que l’œuvre attira l’attention de l’imprésario napolitain Amadori – s’agissait-il d’une reprise de la cantate Il Parnasso confuso (1665-1667), ou de l’opéra Semiramide riconosciuta à Bergame en 1765 ou en 1766 à Alexandrie ? La représentation de l’opéra Bellerofonte au Teatro San Carlo, le 20 janvier 1767, avec les illustres solistes Anton Raaf et Caterina Gabrielli, marque l’entrée de Mysliveček dans sa décennie créatrice culminante (1767-1777). Dans le journal florentin Notizie del mondo, les créations de ses œuvres étaient fréquemment qualifiées d’événements de retentissement exceptionnel (« grandissimo incontro ») ; elles étaient en général groupées avec des ballets indépendants des auteurs, danseurs et chorégraphes Charles le Picq et Onorato Viganò. Et pourtant, malgré ses succès répétés à Naples, à Turin, à Prague, à Padoue, à Venise, Bologne, Florence, Milan et Pavie, Mysliveček était sans cesse tenaillé par le manque d’argent, des emprunts et des difficultés avec ses créanciers. L’année 1777 devait marquer une cassure dans sa carrière florissante, et la lente chute jusqu’au bas de la société. Elle s’ouvre sur un accident : lors d’un voyage à Munich, la voiture transportant Mysliveček se renversa. La plaie ouverte s’infecta, le compositeur fut obligé de passer un an à l’hôpital et en sortit, au printemps 1778, le visage défiguré. Certaines sources laissent toutefois entendre qu’une maladie vénérienne (la syphilis) devait être la cause véritable de sa défiguration. Mysliveček mourut dans la pauvreté et l’isolement les plus grands, dans sa maison à Rome, le 4 février 1781. Sur le rapport de Josef Mysliveček et de Wolfgang Amadeus Mozart, on dispose aujourd’hui d’une trentaine de documents témoignant de leur première rencontre, de leur respect artistique mutuel et de leur amitié sincère, qui s’est maintenue, avec diverses péripéties, jusqu’à la mort de Mysliveček. Dans ce rapport, le père de Wolfgang, Leopold, joua un rôle important et pas toujours positif : il jugeait les faits de Mysliveček d’un œil très sévère ; croyant protéger son fils des mauvais exemples et soucieux d’imposer les intérêts de celui-ci, il ne perdait pas de vue les aspects pragmatiques et, par ses conseils, tentait d’orienter le rapport de Wolfgang au compositeur tchèque. Mais ces conseils étaient bien souvent en franc contraste avec les sentiments tout à fait positifs qu’entretenait son fils envers son collègue plus âgé. Une autre rencontre personnelle eut lieu à Milan, où Mysliveček avait été conduit en novembre 1771 par la commande de l’opéra Il gran Tamerlano (création le 26 décembre 1771). Bien que n’ayant pour la composition et les préparatifs de l’opéra qu’un peu plus d’un mois, Mysliveček n’hésita pas, et dès le lendemain il rendit visite aux Mozart père et fils. Près d’un an plus tard, Wolfgang écrit, de nouveau depuis Milan : « Monsieur Mysliveček est encore ici », mais il ne le mentionne plus explicitement parmi « nos bons amis ». Trois lettres milanaises des Mozart, datant de janvier 1773, incluent ensuite les salutations de Mysliveček et le célèbre compliment à la sœur de Wolfgang : « Monsieur Mysliveček baise la main virtuose de Nannerl ». Un post-scriptum de Wolfgang à sa lettre aux siens du 9 septembre 1773 à Vienne rappelle Mysliveček à travers une plaisanterie notant qu’au lieu d’un sous-main il utilisait la partie de basse continue de son Concerto per violino obligato e stromenti. Puis viennent une interruption de quatre ans et un revirement fondamental dans les sources documentant le rapport de Mysliveček aux Mozart. Le 24 septembre 1777, au cours d’une nouvelle tournée européenne, Wolfgang Amadeus arriva avec sa mère à Munich, où Mysliveček se soignait alors à l’hôpital ducal ‒ tout en composant et en suivant les préparatifs de l’exécution de son oratorio révisé Abramo ed Isacco. La présence des deux amis de longue date dans la même ville donna lieu à un échange de lettres mouvementé entre Munich et Salzbourg. Mysliveček ignorait l’arrivée de Wolfgang, et de même Wolfgang ne se doutait nullement du séjour de Mysliveček à Munich. Mais le père Mozart, par correspondance ou de bouche à oreille, devait avoir appris que Mysliveček s’y faisait soigner, et ce fut lui le premier qui formula le soupçon d’une maladie vénérienne. Leopold décida donc d’empêcher à tout prix la rencontre, et conseilla à Wolfgang de s’excuser, si Mysliveček découvrait sa présence à Munich, en avançant que sa mère lui interdisait cette visite ‒ il devait bien comprendre. Finalement Leopold prononça la condamnation virulente de la vie abjecte de Mysliveček, de son opprobre devant le monde entier et de sa propre faute dans sa souffrance. À partir de ce verdict cassant, on ne peut plus qualifier d’amitié le rapport de Leopold Mozart à Mysliveček, car tous leurs contacts ultérieurs ne sont plus que des démarches commerciales ou tactiques. La lettre de Wolfgang du 7 août 1778 est la dernière où il mentionne le nom de son ami Josef Mysliveček. Il y rapporte qu’on avait envisagé Mysliveček comme candidat au poste de maître de chapelle de l’archevêque de Salzbourg. Mais on avait négocié, d’après Mozart, avec si « peu de perspicacité » qu’on « avait laissé échapper Mysliveček » et que Salzbourg perdait ainsi un « maître de chapelle qu’on ne trouve pas si facilement... et qui, par sa présence, aurait fait craindre toute la musique de la cour ». Opéra carnavalesque créé le 26 décembre 1771 au Teatro Regio Ducal de Milan, Il Gran Tamerlano est l’un des chefs-d’œuvre datant de la première période de la production opératique de Mysliveček. L’utilisation d’une forme tripartite d’arias « dal segno » était caractéristique de cette période. Les arias revêtant cette forme étaient introduits par un prélude orchestral exposant le matériau thématique principal, qui était ensuite développé dans la ligne vocale (partie A). Après quoi venait une section contrastante (partie B) ‒ le contraste étant fourni par exemple par un changement de mode (majeur x mineur), de tempo (vif x lent), de caractère de l’accompagnement orchestral ou d’instrumentation (orchestre au complet x cordes seules). Enfin la partie A revenait sous une forme abrégée. L’abrégement consistait essentiellement à abandonner la section introductive orchestrale, mais parfois aussi une partie du chant, afin d’intensifier le rythme dramatique (par rapport aux arias da capo d’origine, avec leur reprise intégrale et littérale) ; il libérait aussi, pour les interprètes, un espace dans la partie reprise pour improviser leurs propres fioritures et, par leur art, solliciter la faveur du public. Les deux arias de la fille du sultan, Asteria, sont précisément écrites dans cette forme. Dans la première, « Sento nell alma mia » (acte I), Asteria exprime sa haine envers Tamerlan qui la convoite et désire au plus haut point gagner son cœur. La tempête de sentiments qui l’agite est exprimée par des coloratures virtuoses, et, comme la plupart des arias de Mysliveček, place l’interprète face à d’immenses difficultés techniques. Elle présente en même temps un matériau mélodique magnifique, chantant, mais à la fois si contrasté et si marquant en soi qu’il serait suffisant pour construire un allegro de sonate. L’aria « Nacqui in seno alla sventura » (acte II) est l’émouvante confession de l’âme d’Asteria éprouvée par le destin. Sobre, la musique parle au cœur, et l’effet est renforcé par l’accompagnement délicat des cordes, auxquelles seules deux flûtes se joignent. La création d’Il Gran Tamerlano avait emporté un grand succès, et l’œuvre devint l’un des opéras les plus populaires exécutés à Milan en ce temps. Un témoignage direct de cette faveur est à voir dans les nombreuses copies d’époque d’une série d’arias et de duos. C’est aussi au Teatro Regio Ducal que fut créé l’opéra de Mozart Lucio Silla, reçu avec un « succès modéré », un an précisément après le Tamerlan de Mysliveček. Il est probable que cet accueil plus tiède ait été influencé par les multiples complications qui avaient accompagné les répétitions. Le compositeur devait écrire ses arias en fonction des possibilités des solistes et de leurs souhaits, or ils étaient arrivés en retard, et le premier ténor tomba même malade, obligeant à la dernière minute à trouver un remplaçant. C’est ainsi que Mozart, alors âgé de seize ans, écrivit ici une œuvre qu’il n’avait en réalité que six semaines pour composer. L’aria « Se il crudel periglio » est chantée par la protagoniste féminine Giunia, tenaillée par une peur mortelle pour la vie de son fiancé Cecilio. Elle prie Cinna, leur ami commun, de s’occuper de Cecilio et de le protéger contre le tyran sanguinaire Silla, si celui-ci tentait à nouveau de tuer son bien-aimé. Cette aria appartient à la catégorie de l’« aria di bravura », c.-à-d. des arias extrêmement virtuoses. Et comme la prima donna Anna de Amicis-Buonsolazzi, interprète de la création, se félicitait que Mozart ait parfaitement satisfait sa voix, il devait s’agir d’une cantatrice aux dons techniques exceptionnels, car aujourd’hui encore cette aria est l’une des pierres de touche de toute soprano colorature. Par sa longueur, par son étendue vocale (jusqu’au ré3) et par l’ensemble de ses exigences en matière de mobilité de la voix et d’art de la colorature, cette aria est aussi une pièce tout à fait exceptionnelle dans la création de Mozart. L’opéra Artaserse fut représenté pour la première fois au Teatro San Carlo de Naples le 13 août 1774 pour l’anniversaire de la reine Marie-Caroline de Naples. Mysliveček avait reçu cette commande après le succès de son opéra Romulus et Ersilie, créé l’année précédente pour l’anniversaire de la reine. Le roi Xerxès ne permet pas à sa fille Mandane d’épouser Arbace et chasse celui-ci. Artaban, préfet de la garde royale et père d’Arbace, tue Xerxès (au prétexte d’une vengeance, en réalité pour placer son fils sur le trône) et l’annonce à son fils, qui dans son désespoir fuit avec l’arme du crime. Artaxerxès ordonnne alors qu’on fasse tuer son propre frère Darius, qu’il croit être le meurtrier, comme le dit Artaban. Mais, plus tard, on arrête Arbace, qui n’a pas d’explication et devient automatiquement suspect. Personne ne le croit, pas même sa bien-aimée Mandane, c’est même elle qui de tous souhaite le plus sa mort. Cette situation conflictuelle paroxystique qui se déroule entre les quatre personnages principaux, Mandane, Artaxerxès, Arbace et Artaban, Mysliveček l’exprime avec brio à travers le quatuor vocal « Deh! Respirar lasciatemi... » et sa division dramatique. Au deuxième acte de l’opéra, Artaban condamne son fils à mort, ce qui lui vaut la haine de tous ; mais c’est en Mandane qu’il provoque la plus grande colère, Mandane qui jusque-là réclamait avec tant d’insistance la justice. À l’endroit le plus tendu où éclate entre Mandane et Artaban un conflit ouvert, Mandane chante l’air de fureur (aria di furore) « Va tra le selve ircane » où, du fond du cœur, elle déverse toute sa haine pour Artaban. L’aria est écrite dans la tonalité de sol mineur, et, par sa sauvagerie, correspond parfaitement au potentiel dramatique du texte mis en musique. L’opéra Artaserse appartenant déjà à la deuxième période créatrice du compositeur, où celui-ci abandonne progressivement l’aria de type dal segno pour développer un type de sonate avec ritournelles, cette aria elle aussi est composée sur un plan de sonate. La finta giardiniera de Mozart fut créé le 13 janvier 1775 au Salvatortheater de Munich. Après ses succès milanais dans l’opera seria, Mozart, avec ce dramma giocoso, revient à l’opera buffa, ou plutôt à un type transitoire. Et bien qu’on ne le classe pas généralement parmi ses chefs-d’œuvre lyriques, La finta giardiniera représente un tournant important dans la production lyrico-dramatique de Mozart. Il y crée pour la première fois un modèle qu’il va ensuite appliquer dans tous ses opéras célèbres ultérieurs : l’interpénétration entre la dimension comique et les motifs et thèmes sérieux, le mélange d’éléments de l’opéra comique et de l’opera seria. Il cherche à atteindre une caractérisation musicale individualisée des personnages, et manie l’orchestration de façon inventive. Le « mezzo carattere » est en particulier représenté par le personnage de la marquise Violante Onesti, qui se fait passer pour la jardinière Sandrina et reçoit ici une série d’airs pathétiques de caractère sérieux. « Geme la tortorella » compte parmi les arias les plus intéressantes et les plus émotives de l’opéra. La ligne vocale au galbe parfait et toute d’aristocratique élégance plane haut au-dessus d’un accompagnement de cordes d’une transparence cristalline unissant les violons avec sourdines sur des pizzicati d’altos, de violoncelles et de contrebasses. La première représentation de l’opéra de Mysliveček Medonte, re di Epiro eut lieu le 26 janvier 1780 au Teatro Argentina (Teatro a Torre Argentina) de Rome. Les interprètes étaient tous masculins, car à Rome, jusqu’à l’avènement du pape Pie VII en 1800, il était interdit aux femmes de monter en scène. Longtemps les chercheurs myslivečkiens considérèrent par erreur cet opéra comme sa dernière œuvre scénique, et la création était à tort qualifiée d’insuccès. Mais il a été montré que les réserves étaient dirigées contre les arrangements du livret de Métastase, et nullement contre la musique. De fait, Mysliveček reçut une autre commande romaine aussitôt après la création. Le point culminant de l’opéra sur le plan dramatique est le récitatif accompagné et air de Séléné « Dove, ahi dove son io?... Adorata mia speranza », chantés par l’infortunée princesse d’Argos dans le cachot où Medonte l’a jetée et où il veut l’emmurer vive. On ne peut plus parler ici d’un récitatif et d’un air, car il s’agit d’une scène composée d’un bout à l’autre, avec un récitatif accompagné regorgeant d’invention qui passe à une section arioso, d’où la musique débouche sur un nouveau récitatif dramatiquement saisissant, lequel reflète avec une incroyable efficacité la situation extrême vécue par Séléné et les sentiments qui en découlent. Ils la brûlent comme le feu de l’enfer ; elle est glacée d’épouvante à l’approche de la mort ; elle appelle avec angoisse son bien-aimé Arsace, le prie de lui porter secours, et, dans la conclusion de cette scène drastique, demande à ses ennemis d’abréger ses souffrances. La musique par laquelle Mysliveček s’empare de ce tableau va au-delà des bornes du « niveau » de l’époque, elle échappe également à son propre standard de composition, et dépasse tout à fait les frontières du genre de l’« opera seria » pour partir à la rencontre de la réforme de Gluck ou du style que Mozart atteignit plus tard, par exemple dans son opéra Idoménée. Quelques jours à peine avant la mort de Mysliveček, Mozart, à la demande du prince électeur de Munich, présentait au public Idoménée (Munich, 1781). L’histoire de la Troyenne Ilia, prisonnière en Crète, se termine par son mariage avec le fils du roi, Idamante, sauvé de la mort par un deus ex machina. Le dramma per musica de Mozart est fortement influencé par l’opéra français, avec des chœurs participant à l’action dramatique. Au deuxième acte de l’opéra, dans l’aria « Se il padre perdei », Ilia cherche à rajuster son rapport au roi Idoménée, qui vient de lui découvrir ses sentiments. Tandis que lui l’aime comme une femme et lui propose le mariage, elle voit en lui le père qu’elle a perdu. Dans cette aria, elle lui montre son amour pur, innocent, que Mozart a rendu par une ligne mélodique pudique et le délicat entrelacs des cordes (violons avec sourdines – con sordino) avec les instruments à vent solistes (flûte, hautbois, basson et cor). Lorsqu’ensuite, au troisième acte, arrive Idamante pour être sacrifié à Neptune, Ilia résout de lui déclarer ouvertement son amour. Idoménée et Électre les surprennent ensemble, et Idoménée ‒ toujours incapable de montrer ses véritables raisons ‒ ordonne que son fils quitte sur le champ la Crète. Idamante refuse cet ordre, et chacun exprime pour soi le sentiment d’horreur et de malheur qu’il ressent. Mozart a mis en musique cet instant à travers un quatuor personnel, tout à fait inouï pour son époque : « Andrò ramingo, e solo ». La musique abonde en procédés harmoniques étonnants, en passages descriptifs et en contrastes qui répondent au déchirement de tous les personnages impliqués. Simona studied voice at the conservatory in Bratislava and participated in master classes with Ileana Cortrubas and Margreet Honig. Mozart is a central composer in Simona’s career, starting with her first role in Bastien und Bastienne, passing through the roles of Susanne, Pamina, Servilia, Ilia, Sandrina, and Konstanze up to her recent Donna Anna. Simona also enjoys performing Mozart's concert repertoire: with the Great C Minor Mass alone she has toured four continents. Simona first encountered Mysliveček’s work in the production of L’Olimpiade (staged by Ursel Herrmann and conducted by Václav Luks), which was a finalist in the 2014 International Opera Awards and was performed not only in the National Theatre in Prague but also in Luxembourg, Caen, Dijon and the Theater an der Wien. Simona is a regular guest at the Théâtre de la Monnaie in Brussels, where besides Ilia, Sandrina and Servilia she has successfully appeared as Violetta (staged by Andrea Breth and conducted by Ádám Fischer) and Gilda (staged by Robert Carsen and conducted by Carlo Rizzi). She has worked closely with Aalto-Musiktheater in Essen (Violetta, Adina, Konstanze, and Donna Anna) and in Oper Frankfurt (Lucia, Pamina, Oscar, and Madama Cortese). She has also appeared at the Teatro Colón in Buenos Aires, the Megaron in Athens, the Théâtre du Châtelet in Paris, and the Opéra de Monte-Carlo. Šaturová has worked with conductors such as Christoph Eschenbach (the Philadelphia Orchestra, the Orchestre de Paris, the NDR Sinfonieorchester), Manfred Honeck (the Pittsburgh Symphony Orchestra, the Oslo Philharmonic), Adam Fischer (the London Philharmonic Orchestra, the Orchestra of the Age of Enlightenment), Jiří Bělohlávek (the Czech Philharmonic), Helmuth Rilling (the Israel Philharmonic Orchestra, the Toronto Symphony Orchestra), Iván Fischer, Christopher Hogwood (the Münchner Symphoniker), Tomáš Netopil (the Orchestra Accademia Nazionaledi Santa Cecilia), and Philippe Herreweghe (the Orchestre des Champs-Elysés). Simona’s “Haydn Arias” solo CD for Orfeo received Gramophone Magazine's “Editor’s Choice" award, and her recent CD “Gloria” was rated “Empfohlen” by Klassik.com. She has also recorded on CD “Carmina Burana” and “Noël” for Sony, two Haydn masses for Hänssler Classic, Mahler’s Second Symphony for Ondine, and Hasse’s “Requiem” and “Miserere” for Carus Verlag. 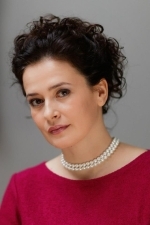 Simona Houda Šaturová was awarded the Charlotte and Walter Hamel Foundation Prize for her exceptional performances (2007) and the Thalia Prize for the Best Opera Singer (2001). Simona studierte am Konservatorium in Bratislava. Ihre Gesangausbildung vertiefte sie ferner in den Meisterkursen von Ileana Cotrubas in Wien und bei Magreet Honig in Amsterdam. Mozart ist der wichtigste Autor in Simonas Karriere, beginnend mit ihrer ersten Produktion in Bastien und Bastienne, über die Rollen Susanna, Pamina, Servilia, Ilia, Sandrina und Konstanze bis zu ihrer letzten Produktion mit Donna Anna. Simona beschäftigt sich gerne auch mit Mozarts Konzertrepertoire, nur mir der Großen Messe C-Moll besuchte sie vier Kontinente. 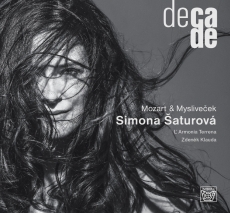 Zum ersten Mal wurde Simona mit Mysliveček in der Produktion der L’Olimpiade konfrontiert (Regie Ursel Herrmann, Dirigent Václav Luks), dabei kam sie ins Finale der International Opera Awards 2014 in der Kategorie Rediscovered Works. Aufführungen gab es außer im Nationaltheater in Prag auch in Luxembourg, Caen, Dijon und im Theatre an der Wien. 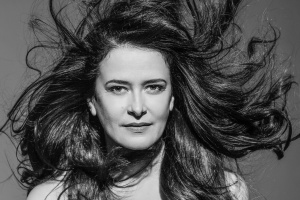 Simona ist Stammgast im Théâtre de la Monnaie in Brussel, wo sie außer den Rollen der Ilia, Sandrina und Servilia erfolgreich auch die Violetta (Regie Andrea Breth, Dirigent Ádám Fischer) und Gilda (Regie Robert Carsen, Dirigent Carlo Rizzi) verkörperte. Oft arbeitet sich mit dem Aalto-Musiktheater in Essen (Violetta, Adina, Konstanze, Donna Anna) und mit der Oper Frankfurt (Lucia, Pamina, Oscar und Madame Cortese) zusammen. Man könnte sie ebenfalls im Teatro Colón Buenos Aires, Megaron Athens, Théâtre du Châtelet in Paris und in der Opéra de Monte-Carlo hören. Zu den Dirigenten, mit denen sie zusammenarbeitet, gehören Chritoph Eschenbach (The Philadelphia Orchestra, Orchestre de Paris, NDR Sinfonieorchester), Manfred Honeck (Pittsburgh Symphony Orchestra, Oslo Philharmonic), Adam Fischer (London Philharmonic Orchestra, Orchestra of the Age of Enlightment), Jiří Bělohlávek (Tschechische Philharmonie), Helmuth Rilling (Israel Philharmonic Orchestra, Toronto Symphony Orchestra), Iván Fischer und Christopher Hogwood (Münchner Symphoniker), Tomáš Netopil (Orchestra Accademia Nazionaledi Santa Cecilia) und Philippe Herreweghe (Orchestre des Champs-Elysés). Simonas Solo-CD für Orfeo Haydn Arias wurde mit “Editor’s Choice" vom Gramophone Magazine, die CD “Gloria” mit “Empfohlen von Klassik.com“ ausgezeichnet. Ferner wurden von ihr die CDs “Carmina Burana” und “Noël” für Sony, zwei CDs mit Haydns Messen für Hänssler Classic, die 2. Mahlers Symphonie für Ondine und Hasses “Requiem Miserere” für Carus Verlag aufgenommen. Simona Houda-Šaturová ist Besitzerin der Auszeichnung der Charlotte und Walter Hamel Stiftung für hervorragende Gesangleistungen (Lübeck 2007) sowie der Auszeichnung Thálie für die beste Opernleistung im 2001. Diplômée du conservatoire de Bratislava, Simona a continué d’approfondir sa formation en chant en participant aux master classes d’Ileana Cotrubas à Vienne et auprès de Magreet Honig à Amsterdam. Mozart occupe une place centrale dans sa carrière, depuis sa première production dans Bastien et Bastienne jusqu’à celle, récente, en Donna Anna, à travers les rôles de Susanna, Pamina, Servilia, Ilia, Sandrina et Konstanze. Elle se consacre également avec prédilection au répertoire de concert de Mozart : avec sa seule Grande Messe en ut mineur, elle a sillonné quatre continents. Sa découverte de Mysliveček remonte à la production de l’opéra L’Olimpiade (mise en sc. Ursel Herrmann, dir. Václav Luks), production qui s’est classée parmi les finalistes des International Opera Awards 2014 dans la catégorie « Œuvres redécouvertes », et qu’on a pu voir au Théâtre national de Prague, à Luxembourg, à Caen, à Dijon et au Theater an der Wien. Simona est régulièrement invitée au Théâtre de la Monnaie de Bruxelles, où, en dehors des rôles d’Ilia, de Sandrina et de Servilia, elle a incarné avec succès Violetta (mise en sc. Andrea Beth, dir. Ádám Fischer) et Gilda (mise en sc. Robert Carsen, dir.Carlo Rizzi). Elle collabore fréquemment avec l’Aalto-Musiktheater de Essen (Violetta, Adina, Konstanze, Donna Anna) et l’Opéra de Francfort (Lucia, Pamina, Oscar et Madama Cortese). On a également pu l’entendre au Teatro Colón de Buenos Aires, au Megaron d’Athènes, au Théâtre du Châtelet à Paris et à l’Opéra de Monte-Carlo. Elle collabore avec des chefs d’orchestre comme Christoph Eschenbach (The Philadelphia Orchestra, Orchestre de Paris, NDR Sinfonieorchester), Manfred Honeck (Pittsburgh Symphony Orchestra, Oslo Philharmonic), Ádám Fischer (London Philharmonic Orchestra, Orchestra of the Age of Enlightment), Jiří Bělohlávek (Philharmonie tchèque), Helmuth Rilling (Israel Philharmonic Orchestra, Toronto Symphony Orchestra), Iván Fischer et Christopher Hogwood (Münchner Symphoniker), Tomáš Netopil (Orchestra Accademia Nazionaledi Santa Cecilia) et Philippe Herreweghe (Orchestre des Champs-Élysées). Haydn Arias, CD soliste enregistré par Simona pour le label Orfeo, a été primé « Editor’s Choice » par le magazine Gramophone, et son CD Gloria a reçu la mention « Empfohlen von Klassik.com ». Elle a ensuite enregistré les CD Carmina Burana et Noël pour Sony, deux CD de messes de Haydn pour Hänssler Classic, la Deuxième Symphonie de Mahler pour Ondine et Requiem & Miserere de Hasse pour Carus Verlag. Simona Houda-Šaturová s’est vu décerner le prix de la Fondation Charlotte et Walter Hamel pour ses performances exceptionnelles dans le domaine du chant (Lübeck 2007) et le prix tchèque Thálie récompensant la meilleure performance à l’opéra en 2001.